Last week I logged into LinkedIn(s lnkd) and saw that one of my relatives had endorsed me for blogging. I like my relative a lot. But he’s not a tech blogger, and he’s not a colleague of mine at GigaOM either. In fact, we’ve never even worked together. I assumed he endorsed me because he’d read some of my articles, or he just wanted to be nice. But really, I had no idea why I got the endorsement. So I was curious to hear from LinkedIn: What is the point of endorsing someone on the social network? Is there any benefit to me if I get endorsement from a kind-of-random person who doesn’t know me in the endorsed capacity? Will it make my experience on the site any better, or should I remove endorsements from off-target people? The answer from LinkedIn was: An off-target endorsement isn’t a huge deal, as long as you have the skill for which the person endorsed you. But as the barrier to leaving feedback gets even lower, which is the point of endorsements, LinkedIn needs to find a way to make sense of all that data that’s being added to the site. Or it risks being seen as annoying its users with unwanted notifications. I spoke with Brad Mauney, who is a product manager for identity features, about the idea behind endorsements and where the product is headed. He first suggested that other people might be getting more relevant endorsements than me, or that if I accepted too many people I don’t know, that could affect the feedback I’m getting. But it’s not just me. A quick survey of friends and co-workers raised the same questions and concerns. Mothers-in-law, in particular, seemed to be avid endorsers, from my very limited survey. There’s a Quora thread devoted to the issue of endorsement accuracy, as well as questions from users on LinkedIn itself about how useful the feature really is. LinkedIn launched the endorsements product in September 2012, and in May 2013, the company announced that there have been 1 billion endorsements since then. The company already had the recommendations product, which worked more like a formal resume reference, and Mauney said they’ve seen both endorsements and recommendations increase since then. Part of what makes endorsements so prolific — and sometimes off-target — is that it’s incredible easy to endorse someone. Now when you visit a connection’s page, it makes auto-suggestions for you at the very top. But the ease of leaving feedback plays into the complaints, with some people arguing that it makes them less meaningful. From LinkedIn’s perspective, the more endorsements people leave for you, the more it can build up information about your true skills, even if not all of those people have worked closely with you. LinkedIn analyzes your profile to pick the skills it thinks you might have, and then auto-suggests that people endorse you for those. Which probably explains why most of the people endorsing me are random, but the skills that end up on my profile are not. And once skills are established on my profile through endorsements, it adds to the data that comes up along with my name in a search. But when Mauney and I talked about the accuracy of endorsements overall, he did say that the company is looking for ways to make them more useful. For instance, he said, if Reid Hoffman, the co-founder of LinkedIn, endorsed him for his product management, that should be weighted much more heavily than if his mom endorsed him for product management (assuming she has not also co-founded a tech company). In fact, if he had no endorsements for product management at all except for Hoffman’s, that might be just as meaningful as 50 vague friends or acquaintances endorsing him for the same thing. Not all endorsements are equal, and he said it’s fair to say that they’re looking for ways to improve this. So until then, yes, you might keep getting endorsed by that person you met at a conference one time and probably wouldn’t recognize on the street, or your mother-in-law. Just remember, you can always hide their endorsement. Or you know, disconnect if you really don’t know them in a professional capacity. Have you endorsed someone on LinkedIn before? Do you find the notifications annoying? Leave a comment and tell us why. I have noticed that LinkedIn randomly adds skills to my profile that I do not have. Also, people who I have never talked to before have endorsed me for skills. I think the system is doing this automatically. It needs to be fixed. Now that I can no longer delete endorsements from the type of people that click buttons just because LinkedIn tells them to, I just delete the people instead. I’m sick of seeing “Vague Acquaintance has endorsed you for stuff you don’t do, and they wouldn’t know it if you did” in my in-box. These days I only stay linked with people that demonstrate an ongoing ability to exercise some restraint and common sense. If it were possible just to delete the unwanted endorsement I’d do that. But since LinkedIn don’t allow that, they’re only hurting themselves by forcing people like me to delete contacts instead. The whole endorsement thing seems almost meaningless to me, perhaps I don’t get just who is supposed to see the endorsements and for what purpose…a potential employer? your current employer?…who? It also appears to me that since auto endorsements can come from virtually anyone you are connected with, what is the true value, as you state in your blog? I have the skills I’m endorsed for selected in the skills and expertise area on my profile anyway, so is the point that other people are simply confirming what I say about myself? This is what happens when a company stops listening to its customers and instead focuses on internal politics. It is not a good sign. I’m sorry. Were you under the delusion that you’re a LinkedIn “customer”. I’ve got news for: you’re not their customer, you’re they’re product. The people that pay to advertise to you when you visit their site to delete unwanted endorsements are their customers. Damn. Should have proof read that one before clicking “vent”. I think the endorsement feature is getting out of hand. When someone endorses someone else, that person feels obligated to reciprocate. In the process, they end up endorsing a few others…and now those people feel obligated to reciprocate. It seems like endorsements are flying all over the place. I imagine many of them are out of a sense of obligation. In my opinion, most of the meaning has been stripped from endorsements. I think you don’t like your mother-in-law. Everybody, please join my Linkedin Group ‘ funny endorsements’ and I promise to immediately endorse your non-obvious skill e.g. lawnmowing, pizza sauce making, putting-foot-behind-neck, etc. The endorsements, per se, are of limited quality based for the reasons you stated. On the positive side, they are a bit of a poke over LinkedIn. I’ve often replied with a LinkedIn message to someone I likely wouldn’t reach out to out of the blue. And that’s been a good thing. Lets face it! We all have loads of connections on Linkedin we dont know. And many of those connections you dont know will endorse you, hoping that you will endorse them back. I dont endorse anyone I dont know. I dont see why your relative should not be endorsing you if he knows what you do and how good you are. Even if he just read a few articles of yours, why is that not enough of a basis to endorse you? Hes not writing you a letter of recommendation; hes just saying that based on his knowledge you are good at a particular skill. I dont believe endorsements carry that much weight. Its the recommendations that I believe most people care about. Of course one can cut a finger with a knife, but that is hardly the fault of the knife. 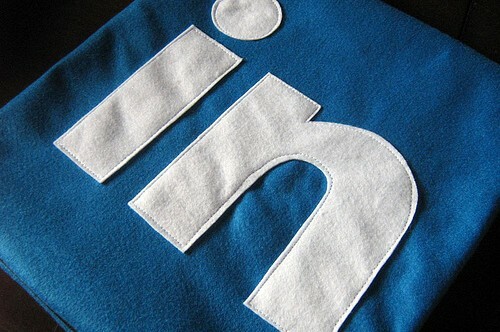 The main problem is that some people confuse LinkedIn for a Facebook like network. I’m *not* linked to several people I know only socially on linkedIn, whereas there are several people I know professionally (and hardly socially) who are in my Linkedin network. In many ways, LinkedIn is the replacement of the nice leather bound album of business cards that sit on so many office desks the world over. It is not the replacement for the phone book you keep at home – or greeting cards that you pin up. I don’t pay any attention to LinkedIn endorsements for this very reason. They are basically pointless. They would be more effective if LinkedIn forced users to choose where they worked with you (much like when you are asked how you know someone when you try and connect with them) or at least to leave a comment explaining their endorsement. As usual, it all boils down to the maxim that if the website is free, then YOU are the product. Endorsements have nothing to do with improving the user’s experience and everything to do with increasing clicks, time on the website, and therefore, ad revenue. I agree. I always felt like endorsements were very quid pro quo too. I’m a strong advocate of a high signal to noise ratio. For instance, I have about 50 FB friends and I’ve been a heavy user since ’07. So I understand the wisdom of the crowds rational, but you’d really need a large sample set to make the numbers meaningful. I’ve been endorsed by people for skills, but honestly I’m a little offended because generally the person isn’t an expert, and they don’t really know my level of skill in the field – and I know they don’t know. This dilutes any real meaning. This is a topic worth the debate. I have to agree with the views that think Endorsements have little weightage in terms of adding value to a resume. Although, endorsements make the profile look nicer, and it might attract attention initially, for a recruiter, it is not enough. A recruiter will verify the claims and cross check details. Most importantly, often endorsements requests pop up for skill sets which are not even relevant to a profile, or less relevant. And let’s face it, it becomes almost an open arrangement to exchange endorsements, so you endorse someone you know (and may have never worked with) and get endorsed in return. This is more of a engaging tool that apparently makes a user profile look more important than the ones not having endorsements. I agree with you. These endorsements are ridiculous and useless. I have endorsements from people I don’t even remember linking with. What is that about. They went the wrong direction with this feature, in my opinion. I do not trust that the endorsements are genuine from Linkedin, I feel that they are engine driven by Linkedin. Loosing credibility!!! Yes! I don’t like it when people who are just my friends endorse me for skills that they have no knowledge of. Like the author said, I pick my skills based on what I actually do. Many of my friends have no first-hand knowledge of those skills. Personally, I delete all endorsements from those kinds of people. I think it just waters down my professional experience and makes me less fond of using linkedin in general. Yep. My mother-in-law endorses me a couple times a week. My biggest issue with endorsements is that many of my key former and current co-workers aren’t avid LinkedIn users. This creates a problem for my endorsements because some of my critical/valuable skills are rarely endorsed as often as some of the more “flashy” ones. So while my rÃ©sumÃ© and bio highlights some of my better skill sets, they are behind the scenes type stuff that many of my connections have never seen my function in. Moreover, when I offer endorsements, I always ask myself “have I worked with this person in this area or have I personally seen outcomes or results from this functional area? If not, then I skip that endorsement. I’m not sure mine would ! I often get messages from friends I have never worked with asking me to endorse them for specific skills, and in exchange they will endorse me. 95% of the endorsements I have are from people who have never directly worked with me and have no firsthand knowledge of whether I have the skill or not. Therefore I see little reason to trust endorsed skills I see on others’ pages. Kind of useless facility – it also undermines the credible endorsements! They do better by making the recommendations feature more interactive. Are those endorsements generated in the same manner that LinkedIn generates its invitations to join LinkedIn … by theft of a person’s contacts? I would say the real reason behind Endorsements is for LinkedIn to offer advertisers a wider choice of targeting opportunities, thereby translating into additional revenue streams for itself. Nothing to do with adding resume value to its members! Bet I can top that. My wife’s brother’s mother-in-law (no joke) just endorsed her this past week on LinkedIn. Not even sure the sweet woman knows what my wife does for a living!